Does Strength-Training Boost Your Metabolism? I recently downloaded a series of fitness exercises onto my phone- some of the exercises are designed with the purpose of increasing muscle mass through anaerobic activities such as Pilates, Yoga, sit-ups, and weight-lifting. As I sweated through the exercises, I wondered how strength-training would affect (if at all) my calorie-burning and metabolic rate. As I usually do when confronted with such a dilemma, I turned to Internet and did a little detective work. 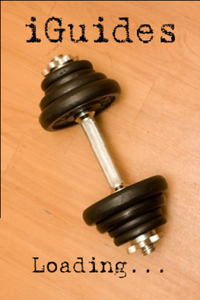 Read more about Does Strength-Training Boost Your Metabolism? After years of a serious fear of Pilates, which I believe has the scientific name of Pilatesagoria, I finally succuumbed to the temptation to try out the exercises. 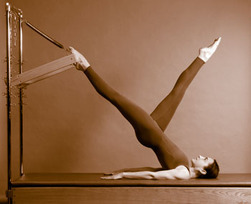 Before attempting my first Pilates workout, I read a little about the benefits of Pilates. According to this website hyping Pilates, Pilates was developed to increase flexibility at the core of the body which can in turn benefit the core of the body or the back or the spine. Because I am a newbie to Pilates, I opted to try out the Beginning Pilates Mat Workout dvd instead of joining an organized class in order to save myself money and embarrassment. Do you feel like you’ve lost the romance in your life? Are you and your partner struggling to retain that initial spark? Maybe you’re single and you just wish you had a bit more whimsy in your life. Life is meant to be enjoyed, and if you need to resurrect the romance in yours, now is a great time to do so. Here are 10 ways you can do just that. Make it weekly or monthly. Make it with your friend, partner, child, or self. Whatever you do, make it fun—and make it a priority! Maybe you could take yourself to dinner or rent paddleboats with your significant other for an evening in the moonlight.